The Gothams also harbored some major surprises. Some of the year’s most deserving underdog contenders took home awards, from Sean Baker’s double award-winner “Tangerine” to Paul Dano in “Love & Mercy.” The biggest shock of the night came when Bel Powley won the Best Actress award for “The Diary of a Teenage Girl,” which saw the young breakout beat out heavyweights and expected Oscar nominees like Cate Blanchett. As IFP executive director Joana Vicente told Indiewire yesterday, “The mission of the Gotham Awards has always been to celebrate independent films and the creative community behind them,” and her statements were certainly echoed by the eclectic selection. Making their way backstage into the press room following their victories, the winners took some time to talk to Indiewire about the roles, performances, screenplays and directing gigs that thrust them into the 2015-16 awards season spotlight. 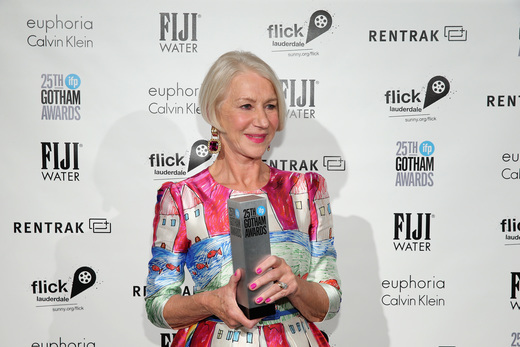 Below are all of the must-read highlights from the Gotham Awards winners’ room. It was a big night for “Tangerine.” The microbudget indie shot on an iPhone 5s walked away with two big prizes: The Audience Award and the Breakthrough Actress prize for Mya Taylor. Unfortunately, Taylor missed her flight and was unable to accept her award, but director Sean Baker took the podium instead to thank both of his lead actresses. “They prove that there is trans talent out there; it’s just up to us to look,” he said to warm applause. “Spotlight” confirmed its power-player status on the awards circuit by winning the Best Screenplay, Best Feature and Ensemble awards. 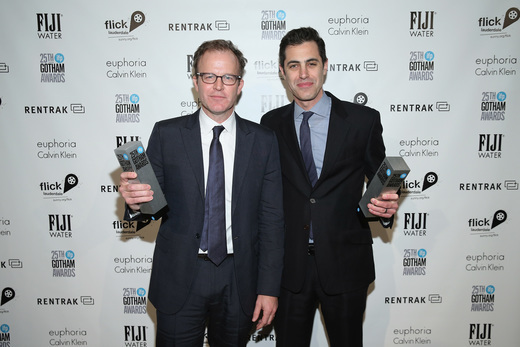 Director Tom McCarthy was clearly relishing the moment, and he and co-writer Josh Singer spoke to Indiewire after their Best Screenplay win about the challenges of writing such a dense investigative story. “The initial idea for making this story was just following the person (who is now my roommate)’s life. He’s the person you see on screen. The resonance of it now is something we could’ve never expected. Even to this day, and even after winning something as amazing as this award, I still feel like all we did was make a movie about one specific microcosm of the European immigration experience, but people are reading their own situations and own life stories into it in these really profound ways. I didn’t expect there to be this universality to the story, but screening it you realize everyone has some kind of story like this — of trying to find a home, a family, a sense of belonging,” the filmmaker said. 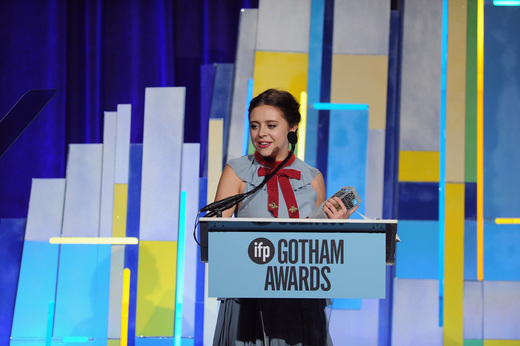 You can’t blame Bel Powley for her nervous giggles and star-struck gaze after winning the Best Actress prize; not only did she beat the expected winners, Cate Blanchett and Brie Larson, but, as she told press, the Gothams was her first real awards experience. “I did not expect this. I mean — Cate Blanchett, Lily Tomlin — I mean, it feels like a real pleasure to be here,” she said.